The Bell family has had their ups and downs, though most have found solace far away from each other. When Patricia Bell, their Mama Bell, dies from cancer, it draws the disbanded family together to discuss a family reunion. 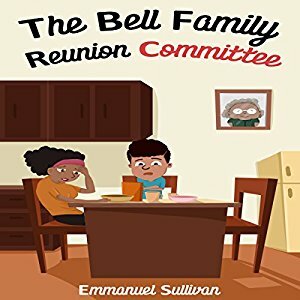 As the undisputed matriarch, Mama Bell had been the force of good in the family and for her, even people who normally do not get along will come together and try to find common ground. Mama Bell had five children, now grown adults with lives and personalities so different from each other. Crystal, with an adult son of her own, had moved back into her Mama’s house when she divorced while Rayford, one of her brothers, went on to become a lawyer and ‘escape’ the predominantly black neighborhood. Jaycee is now facing a changed life after a horrific mistake, Jazelle found herself involved with a white man that doesn’t seem to want his baby, and Thomas is trying to recapture his youth by dating a woman way too young for him. Somehow this group, along with friends and a surprise guest, must find a way to overlook their distaste of each other and find the ‘family’ they each secretly crave.